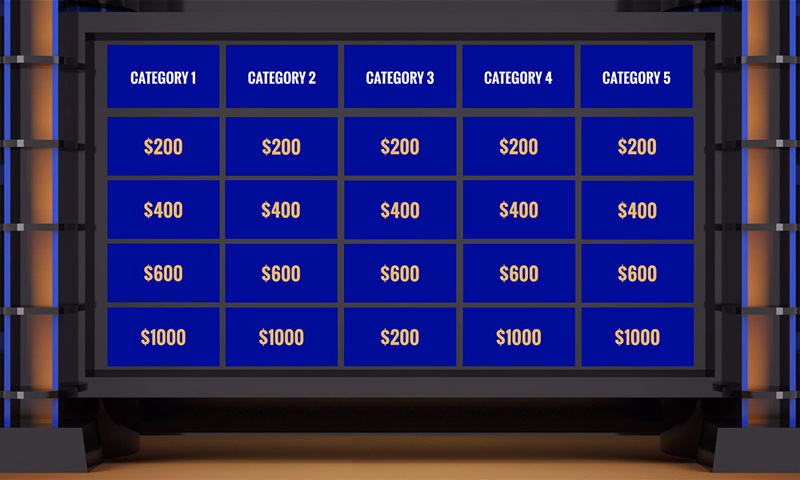 Build yourself the world’s most famous quiz game with a jeopardy game Prezi presentation template. Make your own quiz game, add your own topics, answers and play with your audience. Zoom into any topic with a click of a mouse or point and scroll – fill in the categories and add questions inside the boxes. A great way to build a simple interactive jeopardy game with Prezi Next and play with your friends, family or your viewers. This entry was posted in Best Prezi presentation templates, Prezi Next Templates and tagged free jeopardy game maker, free jeopardy maker, free online jeopardy game maker, free online jeopardy maker, gameshow prezi template, jeopardy, jeopardy board maker, jeopardy game maker, jeopardy game maker download, jeopardy game maker powerpoint, jeopardy game maker with music, jeopardy maker, jeopardy maker mac, jeopardy maker powerpoint, jeopardy maker website, jeopardy question maker, jeopardy quiz maker, olnine jeopardy maker template, online jeopardy, online jeopardy game maker, online jeopardy maker, prezi jeopardy template, prezi next jeopardy, prezi next quiz game, prezi template jeopardy, quiz game.